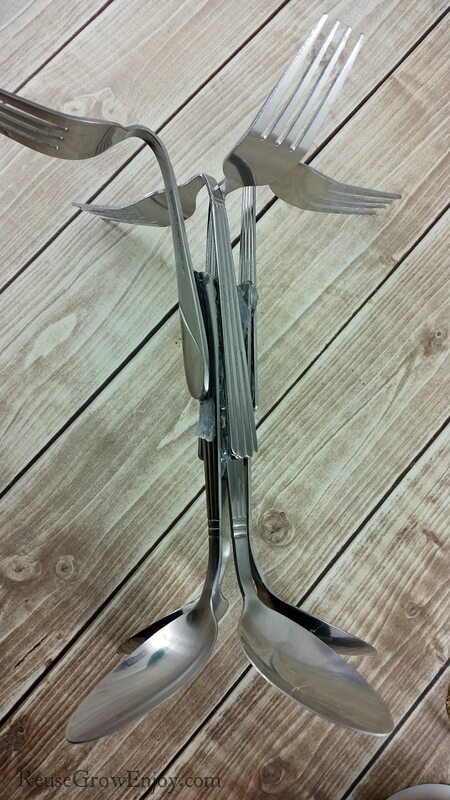 Have you ever had to toss out spoons and forks from them being bent? 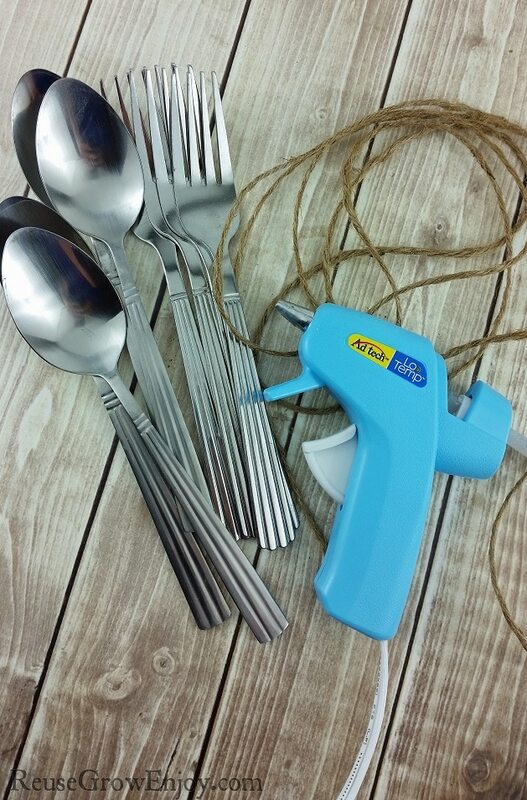 Or maybe you have seen tons of utensils at garage sales and thrift stores? Did you know that you can reuse them to make other things? Even if they are tarnished, bent or damaged. 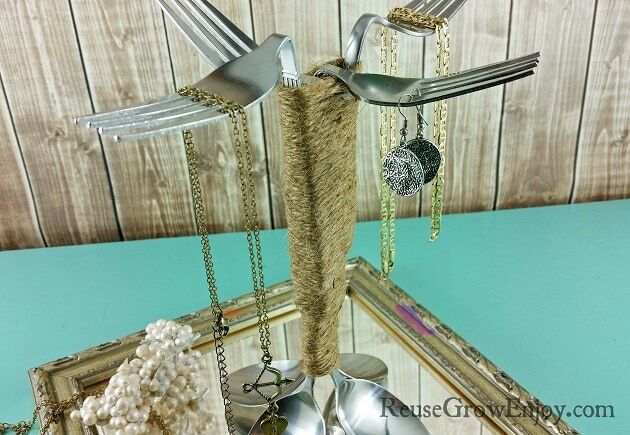 Below you will find one way that I came up with to make a repurposed utensil jewelry tree. When making yours, feel free to bend them in any way that you want. The more bent and twisted, the cooler it looks. 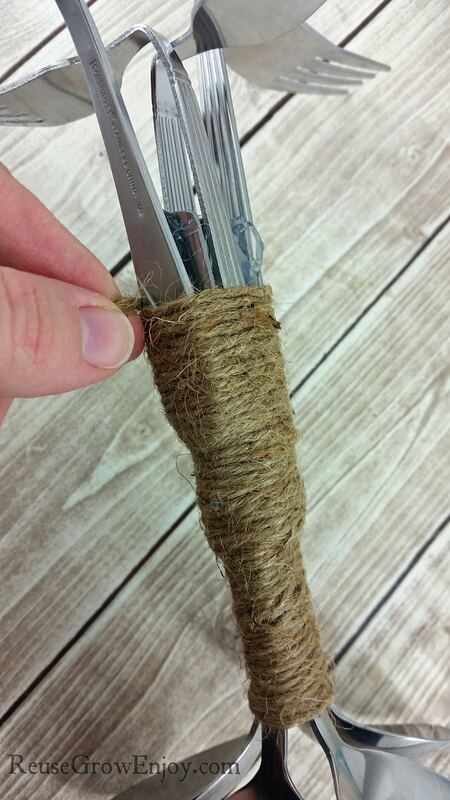 This is one of those repurposed items that is really cool to keep or even to give as a gift! 1. Start by bending each fork and spoon. I was able to bend mine by hand, but you could use heavy pliers. If you do, I would recommend covering them with a cloth to prevent scratches. 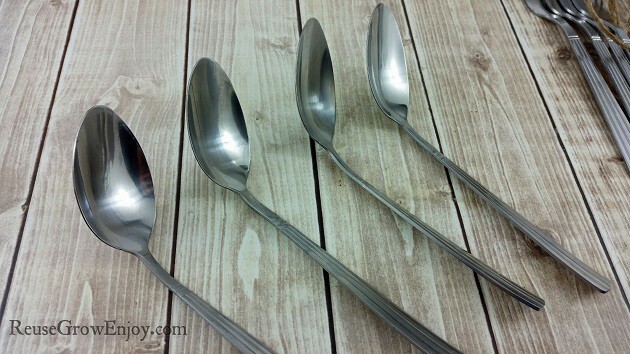 I bent the spoons forward so the back would be in the center, that seemed to make it a little more sturdy. The forks were bent backwards so the natural curve of the tines would point up. 2. 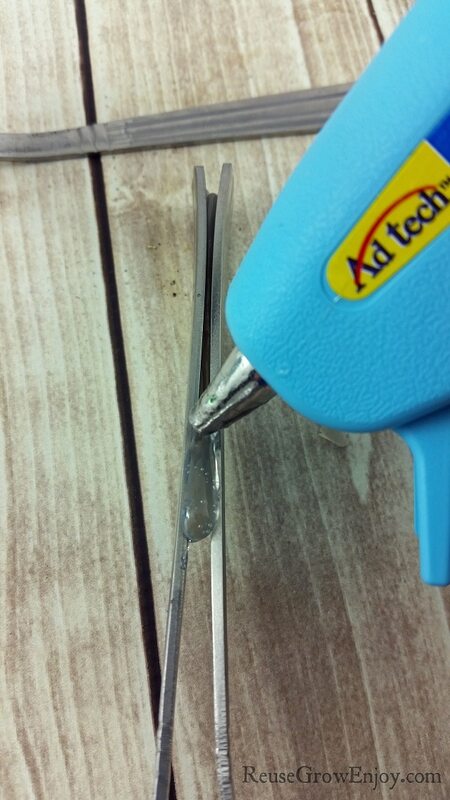 Put a thick line of hot glue on the back of the handle of a spoon, then press another spoon on top. I filled in the gaps with more glue to create a foundation for the other two spoons to go on the side. 3. 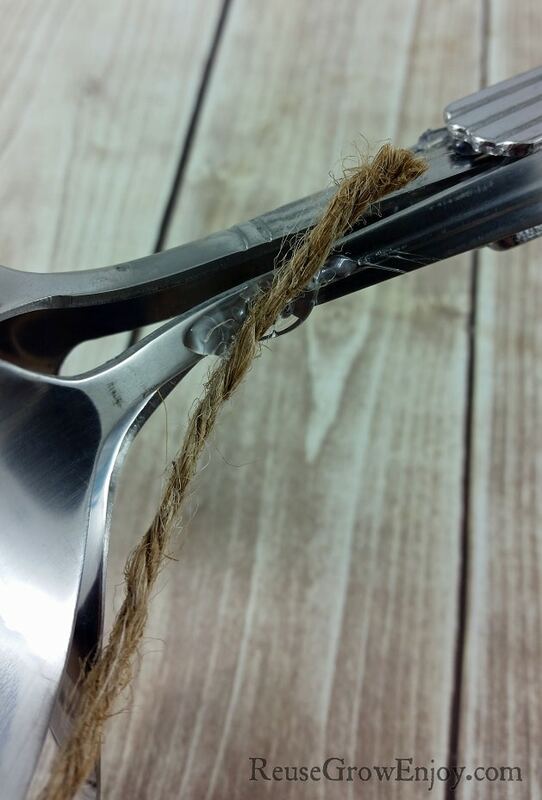 Once you have all four spoons glued together start adding the forks. Overlap them with the spoons about half way down the handle so it isn’t flimsy and add more glue to fill gaps. I criss-crossed two of the middle forks, but you could keep them all facing out one way if you prefer, get creative! 4. 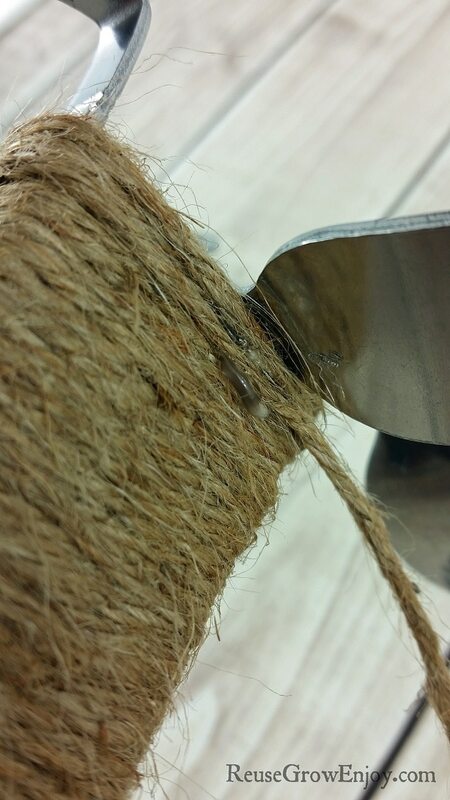 Starting at the base, apply a small amount of hot glue to start the twine. Begin with about an inch going in the same direction as the handle, then wrap around to hide the tail. Continue working up (wrap it tight) until you reach the top, then add another small dot where it can be hidden under a fork. 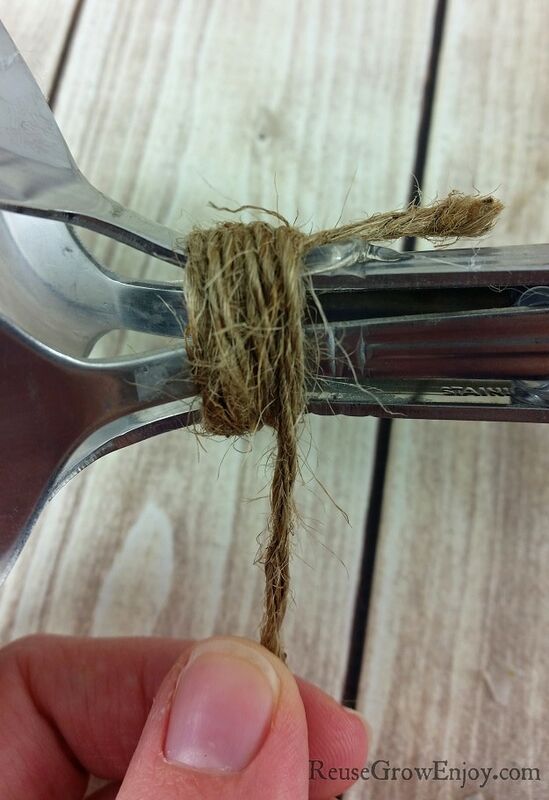 Snip the twine, and add another small dot of glue to keep it from unraveling. That is it! 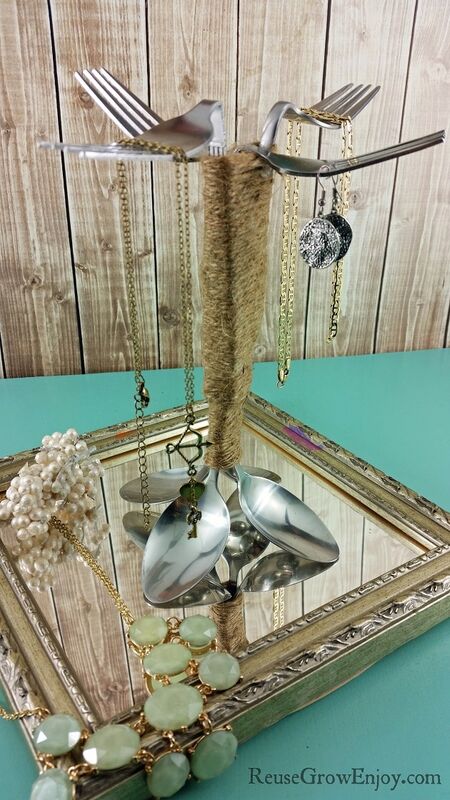 You now have a new lovely repurposed utensil jewelry tree! Now the next time you see these being tossed out, you can grab them and make a repurposed utensil jewelry tree to give as a gift. Oh and by the way, the spoons and forks do not have to match. They could be all different is you wanted or if that is what you have to work with. AWSOME! I soooooooooooooooooooooo gotta do this!!!!! !